Lyn Jones talks Rugby World Cup 2019 preparations and what it will take for his new charges Russia to be competitive when the tournament kicks off in September. Lyn Jones has travelled the world as a player and coach, but the next leg of his rugby journey promises to be his most exciting yet. 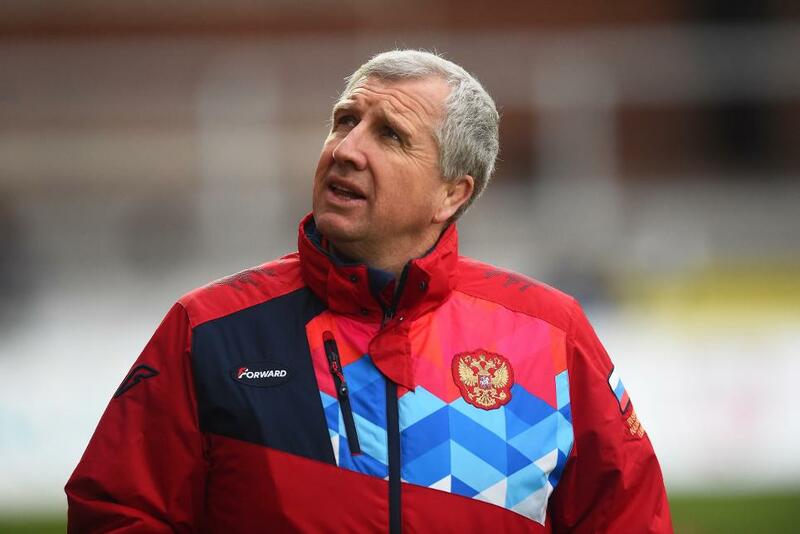 As head coach of Russia, Jones has been handed the opportunity to join fellow Welshman Lynn Howells (formerly Romania) and Phil Davies (Namibia) in leading a tier two nation at a Rugby World Cup. Russia qualified as Europe 1 after the points deductions handed to Romania and Spain for fielding ineligible players left them as the highest-placed of all the non-qualified teams in last year’s Rugby Europe Championship. But the globe-trotting 54-year-old, who has previous overseas coaching experience with Namibia and in Abu Dhabi, is not concerned about the hows and whys surrounding their passage to Japan 2019, just in making sure the side ranked 19th in the World Rugby Rankings are competitive when they take to the game’s biggest stage for the second time in October. Conditioning has been a key work-on in the five months the former Neath openside has been in charge, and a 32-man squad is currently being put through their paces in Alicante in Spain as the build-up to their opening game of this year’s Rugby Europe Championship against Spain in Madrid, on 10 February, continues in earnest. While Russia took encouragement from a November series that produced a 47-20 win against Namibia and a narrow 32-27 defeat to Japan, it left them understanding the level of fitness needed to play at the highest level. “In the Japan game the ball was in play for 40 minutes which is 50 per cent more than these boys have done in their lives,” Jones remarked. “But we have a plan to take us to the World Cup in the best possible condition that will allow us to compete and perform. “There is no magic formula, just bloody hard work and organisation, and the Russian boys aren’t afraid of hard work. As well as conditioning, Jones hopes that two other Cs – confidence and consistency of performance – will come to light in the Rugby Europe Championship. “I’d like to think that by the end of this competition the players will have a greater understanding of what rugby is about, and I’d like to think that they’d leave with a bit more confidence, that we can compete at Rugby World Cup, and we can produce performances against leading nations. With Romania and Georgia providing their last two opponents, Russia need to hit the ground running if they are to improve their position in the Rugby Europe Championship standings. “We’ve only got two home games and one of them is the last game against Georgia. If we are going to go into that game with the championship to play for, we have to get three wins away from home which is a big challenge. It is all about the players realising they can do it and what is required to become a champion team. “Everyone is desperate for the country to do well because it has been underachieving over the years. Success at the Rugby World Cup would clearly accelerate that process. And by the time Russia play hosts Japan in the tournament curtain-raiser, Jones hopes the Bears will be in a position to win their first match at that level. In their only previous appearance at a Rugby World Cup, in New Zealand in 2011, they drew a blank. Always keen to experience something new, Jones packed in his job as a salesman during his amateur playing days in the mid to late 1980s so that he could travel the world and experience what the game was all about in South Africa, America and Australasia. Back then the Rugby World Cup was in its infancy and, even for a man with such broad horizons, he could not have envisaged he would be involved with Russia in the first tournament to be held on Asian soil. That said, his appointment is not unprecedented as former Wales international Kingsley Jones, who will coach Canada at RWC 2019, was part of the Bears’ 2011 adventure. “I had many conversations with Kingsley during that time and remember a lot of what went on, the good bits and the challenge he faced, but I prefer for people not to tell me things, I want to find out for myself. “I tell you one thing that’s been eye-opening is how good some of the players are, and how quickly they pick up things. “Whenever a new coach comes in it takes time and trust to develop relationships and I am absolutely determined to leave Russia in a better place than when I came in in all aspects. As you get older, you realise it’s what you leave behind that is important.